We Know and Understand Your Needs and Concerns. We hope you enjoy this unique opportunity to see some of the most respected Master Jewelers explain their techniques and tips to setting stones, making and repairing jewelry. SAVE 33% to 37% Off Your Membership! This exceptional offer is your chance to do something special just for you! You will fine-tune your Bench Skills and receive the information you need to make 2018 your Best Year Ever and Save Money while doing it. Whether you stream it to your television or watch it on your computer, tablet, or smartphone, Bench Television can be viewed anywhere you have internet connection or cellphone reception. The Bench Jewelers Television Network is a full television network with different channels of interest to Professional Bench Jewelers, Students, and Serious Hobbyist. Channels include, Stone Setting, Jewelry Repair, Custom Manufacturing, Laser Welding, and Shop Management. Each channel provides different shows of related topics. Everything You Need to Become a Better Bench Jeweler. It takes years of dedication working at the bench to become a Master Jeweler. You need to sit at the bench and actually do the work over and over to develop and hone your skills. However, You Cannot Practice What You Don’t Know! In just a few minutes you can discover what took others years to learn. Watch over their shoulder as Master Jewelers reveal the Techniques they use to Master Their Craft. Discover the Skills, Tips, and Tricks from working jewelers who face the same difficulties at the bench you do day in and day out! 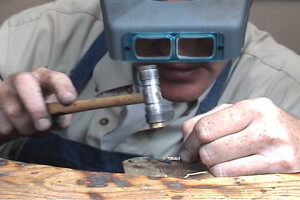 Whether you are a Beginning Jeweler looking to develop your jewelry bench skills, and build your career as a jeweler, or a Seasoned Veteran of the bench looking to refresh your skills and rejuvenate your career, The Bench Jewelers Television Network will help jump-start your creativity and motivate you to accomplish your goals. It’s all here for you to view when you want, as often as you want. 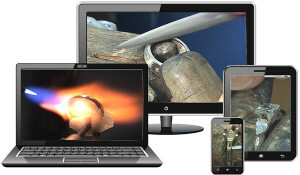 Commercial FREE Educational TV for Bench Jewelers! Discover Tips and Techniques from a variety of Master Jewelers to Increase Your Speed and Improve the Quality of Your Work. From Basic Techniques to Advanced Applications – From Centuries Old Procedures to the Latest in Technological Advancements, each show is filled with high-quality instruction by working jewelers who are masters of their craft. Discover what works and what doesn’t from our experienced Master Jewelers. Our experts help beginners learn the basics they need and show more experienced jewelers how to polish their skills and learn new techniques. Each episode provides accurate informative instruction from Professional Bench Jewelers. Receive Full Unlimited Access to all shows and all episodes in those shows on The Bench Jewelers Television Network. Full access granted as long as your monthly membership is current. Only $27 per month. Save 37% every month you are a member! Purchasing individual shows provides you unlimited lifetime access to all episodes for that one Season of the Show. Individual Shows Only $30 per season. Save 33% off each show! If a picture is worth a thousand words, then a video must be worth MILLIONS! There’s nothing like watching a Master perform his work. See how they hold their tools, how they move their hands. Watching how they work is better than reading all the words in the world! Become a better Bench Jeweler. Discover New Tips and Techniques from a variety of Master Jewelers to Increase Your Speed and Improve the Quality of Your Work.